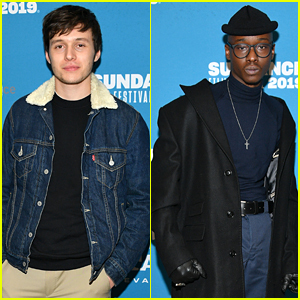 Ashton Sanders Photos, News, and Videos | Just Jared Jr.
Nick Robinson and Ashton Sanders strike a pose at the premiere of their new movie Native Son during the 2019 Sundance Film Festival! The Love, Simon actor and the Moonlight star joined forces at the screening held at Eccles Center Theatre on Friday (January 25) in Park City, Utah. Also in attendance were their co-stars KiKi Layne, Sanaa Lathan, Ashleigh Morghan, and director Rashid Johnson. Rashid brought along his wife Sheree Hovsepian and their son Julius. In Native Son, a young African-American man comes of age in the South Side of Chicago during the 1930s. FYI: KiKi is wearing Christian Dior. 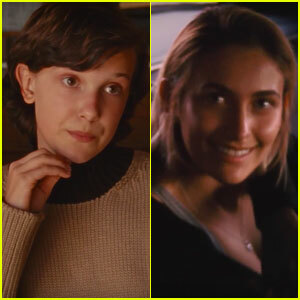 So we finally know what Millie Bobby Brown and Paris Jackson were filming together back in April! The young celebs all wear clothes from the 70s in the ode to California. Watch Millie, Paris, and Ashton below! 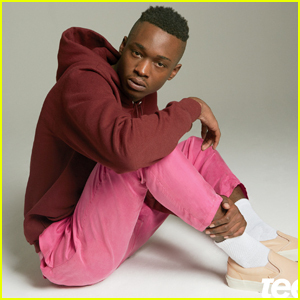 Ashton Sanders poses for this cool new feature for the latest issue of Teen Vogue. The 21-year-old Moonlight star opened up to the glossy about playing the 16-year-old Chiron and more. For more on Ashton, visit TeenVogue.com.